The Greater Washington Community Foundation’s Sharing Prince George’s Fund is excited to announce $140,000 in new investments in seven local nonprofits serving County residents. Sharing Prince George’s is a strategic funding effort representing a collection of philanthropic resources, including the Prince George’s Neighbor to Neighbor Fund and the MGM National Harbor Fund. It aims to increase economic security for residents of Prince George’s County by providing support for safety-net programs which help individuals in crisis to lift themselves out of poverty, educational activities that prepare young people for a successful transition to adulthood, and workforce development opportunities that will help residents earn a living wage. Since its inception, Sharing Prince George’s has awarded more than $1 million in grants to some of the best community-based nonprofit organizations serving Prince George’s County residents. Community Outreach and Development CDC’s Labor of Love Human Services Center will provide families with financial assistance subsidies to help avoid evictions or utility disconnections, and supply food and other gap-filling needs. Food & Friends will prepare and deliver 258,432 medically-tailored meals to 810 people living in Prince George’s County—individuals who are living with HIV/AIDs, cancer, or another serious chronic illness, as well as their children and caregivers. Laurel Advocacy and Referral Services, Inc.’s Emergency Services program will help 1,500 Laurel residents who face financial crisis to meet basic needs for food, rent, utilities, prescriptions, clothing and furniture. Lutheran Social Services of the National Capital Area’s workforce development program will provide low-income immigrants who are refugees, asylees or victims of human trafficking with job readiness training, one-on-one job counseling, resume development, job placement and follow-up post placement. Maryland Community Connection will create stable environments for County residents with developmental disabilities by providing support for basic needs and essential life services, such as hunger relief, eviction and utilities disconnection assistance, uninsured medical expenses, and employment placement and job retention services. Nick’s Place Relapse Prevention Education Program will help homeless young men exiting in-patient drug and alcohol addiction treatment facilities with housing, food, employment services and addiction recovery support for 6 months to a year. Prince George’s Child Resource Center, Inc. Healthy Families program will provide free, weekly in-home intervention services for 170 at-risk mothers to combat health disparities associated with poverty and promote children’s healthy development. 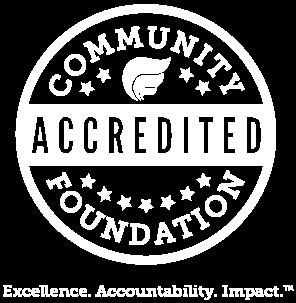 The Community Foundation’s Sharing Prince George's County Fund facilitates education and civic engagement around local issues and encourages more residents and businesses to collectively give where they live. The initiative helps donors strategically leverage their giving to create even greater impact in our communities by pooling resources to support nonprofits responding to the most critical needs. It also brings together donors and other stakeholders to learn first-hand about the challenges facing the area’s most vulnerable residents and engage in a peer-led grant review process, supported by The Community Foundation’s professional staff. If you would like to learn more about Sharing Prince George’s, please visit our website or contact Desiree Griffin-Moore at dgriffin@thecommunityfoundation.org.